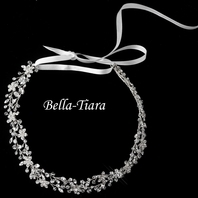 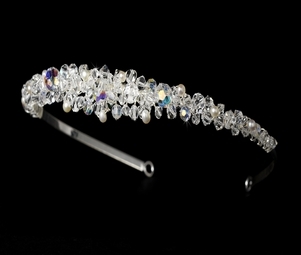 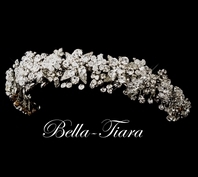 Description: Simple and sparkling, this headband style tiara features a stretch of opal-inspired and clear swarovski crystals and creamy freshwater pearls. 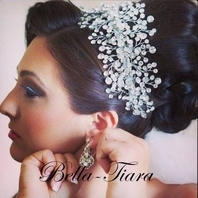 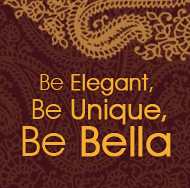 Versatile, this piece is perfect for your modern or vintage wedding. 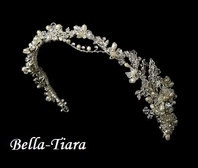 The ornamented portion of the piece measures 8" wide and 3/4" tall, and the piece ends with two loops that allow you to fasten it in your hair with bobby pins.